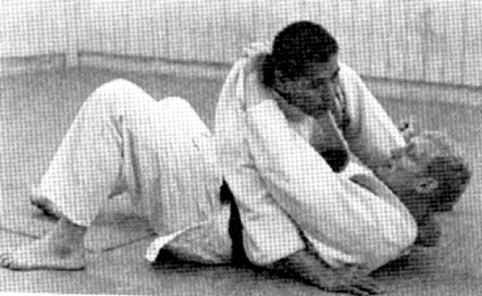 Tokio Hirano (5’5”, 75 kg), obtained Godan (5th dan) at age 19, is perhaps the greatest Judo technician of all time. He is probably the best known Japanese Judoka in Europe. In 1952, Hirano went to teach Judo in Europe. Within six years, he had accumulated over 4,300 wins. In order to promote Judo, Hirano would fight all black belts in the city where he taught Judo. In November 1954, in Mannheim, Germany, Hirano scored all ippons in 34 minutes against 54 black belt opponents (1-3 dan).